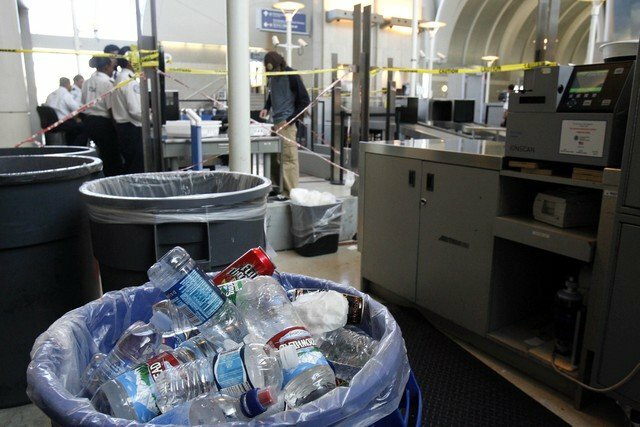 The US has banned all liquids from carry-on bags on nonstop flights to Russia, on the eve of the Sochi Winter Olympics. The restrictions come a day after US officials warned that explosives could be smuggled on flights to Russia in toothpaste tubes. Terrorists could attempt to assemble explosive devices in flight or upon arrival, the officials warned. Security has been elevated in the lead-up to the Games, which start on Friday. The US airline restrictions unveiled on Thursday temporarily ban carry-on liquids, gels or aerosols aboard direct flights to Russia. Russia has already banned all liquids, pastes and gels from its airports and internal flights last month. On Thursday, President Barack Obama said Russia had an “enormous stake” in foiling terrorism at the Games. He told NBC television network the US government was doing everything it could to ensure athletes’ safety. The US has already placed two warships in the Black Sea, ready to offer help in case of a security emergency during the Games. Russian Deputy PM Dmitry Kozak has said the level of security at Sochi “is similar to that of any other safe city in the world”. Fears surrounding the Winter Olympics in Russia were heightened following two suicide attacks in Volgograd in December, as well as numerous threats from Islamist militants in the Caucasus region.